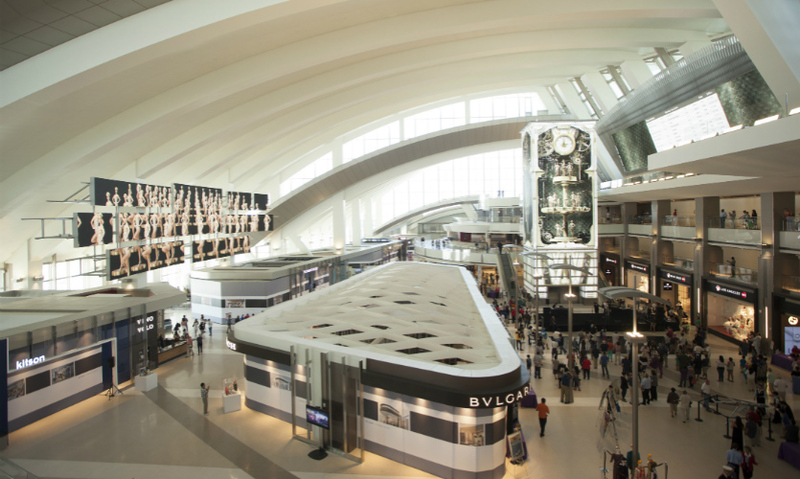 With the new Tom Bradley International Terminal, Los Angeles World Airports also sought to elevate the passenger experience using new and innovative applications of digital media. A multidisciplinary team including MRA International, Sardi Design, Moment Factory, and Digital Kitchen created an epic digital landscape called the Integrated Environmental Media System (IEMS). 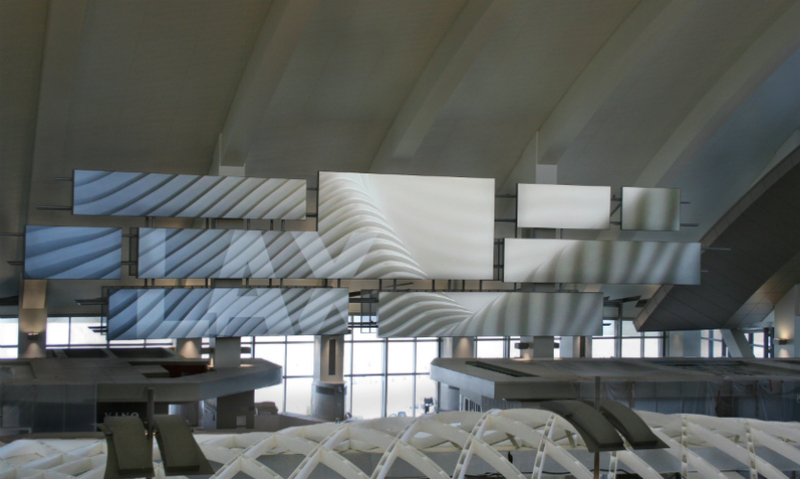 The $40 million system consists of seven architecturally-scaled media features designed to create a one-of-a-kind passenger experience, provide a revenue platform for the airport, develop dynamic brand expression for LAX, and provide an intelligent media environment programmed for future expansion. 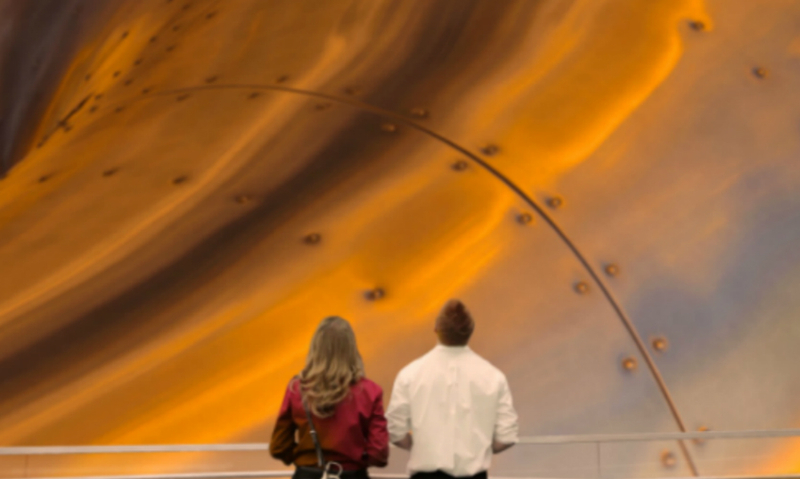 A sponsorship-based revenue platform, the first of its kind in an international airport, provides the basis for an ongoing, ever-evolving experience. 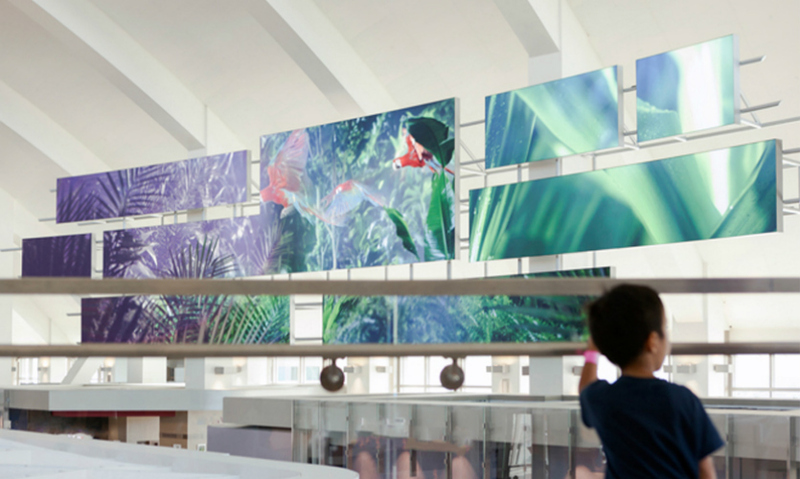 The digital media features are located along key points of engagement in the passenger departure and arrival itineraries, and are integrated within the architectural fabric of the terminal. Each feature, designed with a distinct identity, acts as a "medium" with unique functionalities in the integral media ecology. 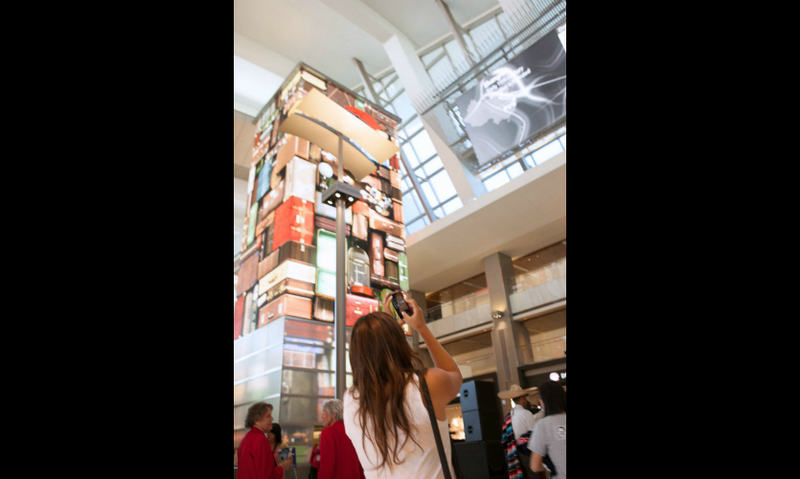 The Time Tower is a 72-foot-tall, four-sided digital media structure that serves as the orientation point for passengers in the terminal's Great Hall. It not only provides the time, it expresses time through slow-motion scenes and hourly clock strikes that celebrate moments in LA's cinematic history. 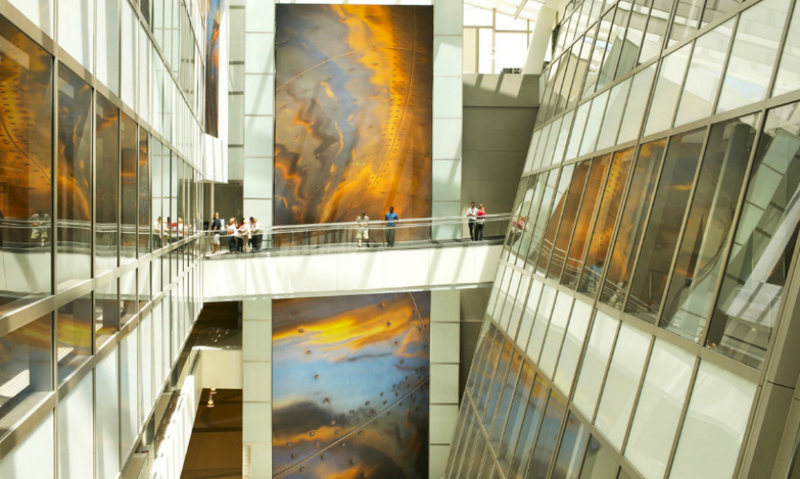 The Time Tower was programmed with four content layers to create 3-D trompe l'oeil effects and an interactive base that reacts to the gestures of passengers. 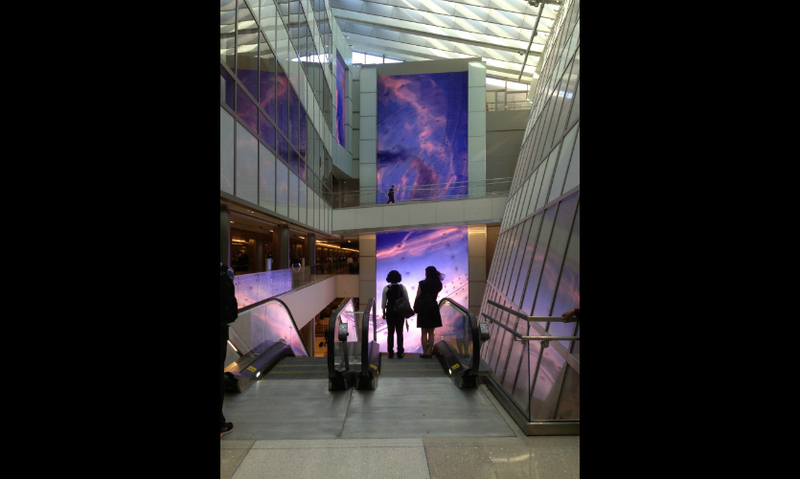 The Story Board, a 120-foot-array of eight digital displays visible from multiple points across the expanse of the Great Hall, was designed to serve as a canvas for ambient narratives. 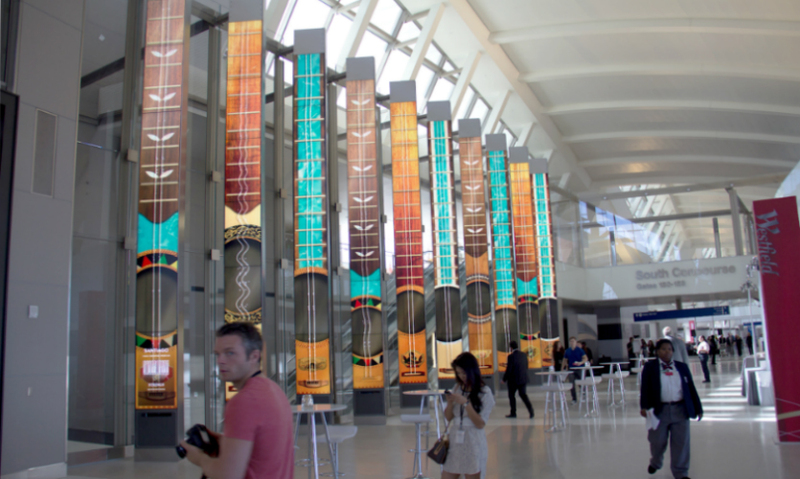 The Destination Board reinterprets the traditional flight information display by using live feeds to animate imagery and information about the destination cities. 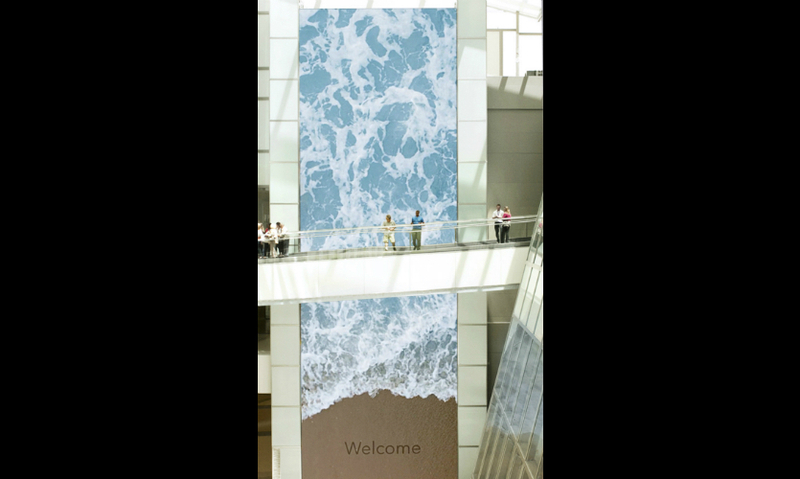 The 82-foot-tall Welcome Wall greets arriving passengers with high-definition video and welcome messages in their native languages, keyed to the origin of arriving flights. 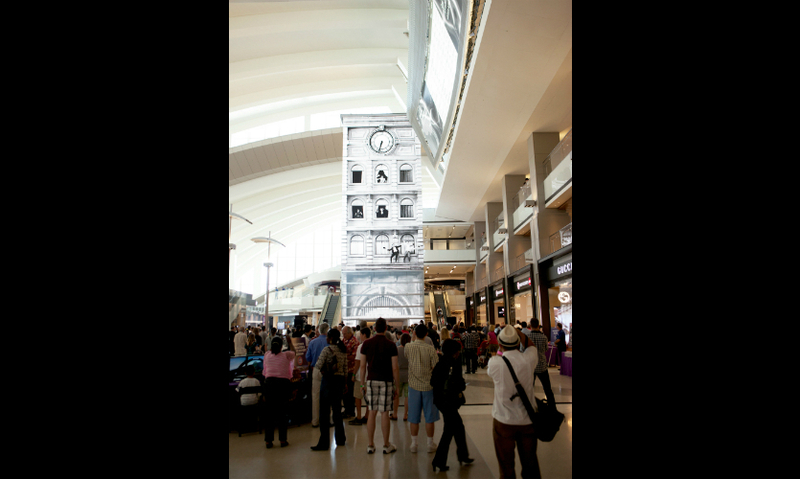 The Bon Voyage Wall is directed to departing passengers, offering video sendoffs expressive of Los Angeles culture. 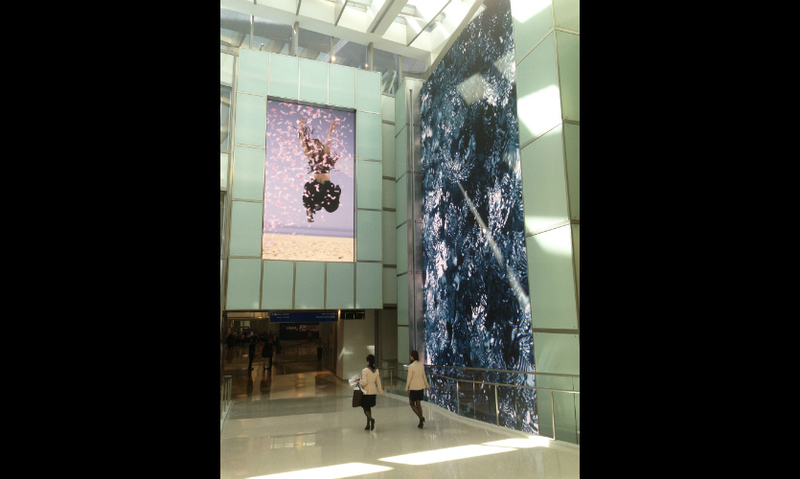 The Portals, a series of ten 28-foot-tall stacked LCDs, present imagery in the art traditions of the destination cities, interactively programmed to react to passengers’ movements en route to embarkation. 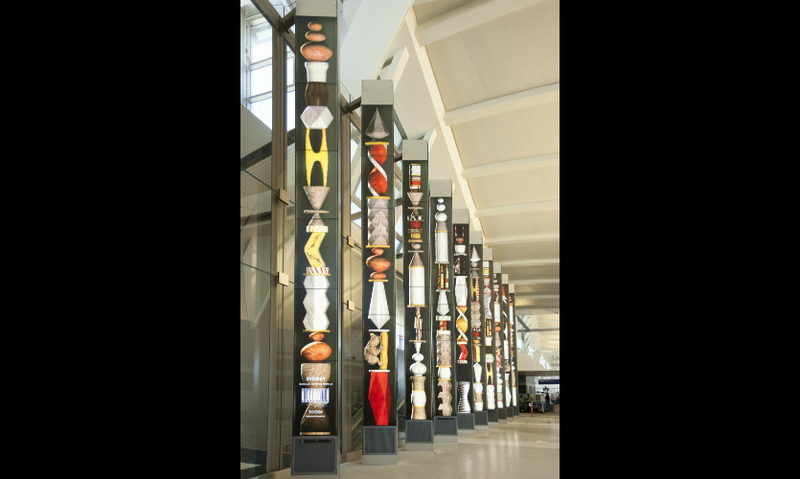 See the feature story on the LAX Tom Bradley International Terminal project!